Our Next NADAC-sanctioned Agility Trials are May 2-3! Entries are now open for the next Paws & Effect NADAC Agility Trials, scheduled Saturday and Sunday, May 2-3, 2015 at the Jester Park Equestrian Center, 11171 N.W. 103rd Court, Granger, Iowa north of Des Moines. The judge will be Robin Carberry of Joliet, Ill. The premium describing the event's rules and other details is downloadable as a PDF here. Entries are open from March 17, 2015 to both days of the event. The purpose of events sanctioned by the North American Dog Agility Council (NADAC) is "to demonstrate the ability of a dog and its handler to work as a smoothly functioning team." They are also great opportunities to meet up with other dogs and their enthusiasts. For general rules and information on NADAC events, click here. Paws & Effect is also widely known for its dog-agility programs, through which children participate in physical, occupational, and speech therapy while taking a therapy dog through an agility course. 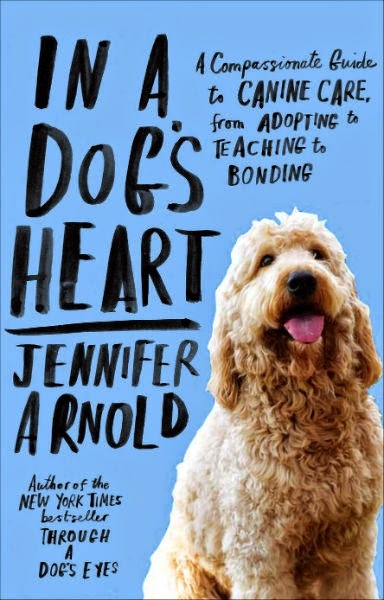 The second Paws & Effect Book Club selection for 2015 is "In a Dog's Heart: A Compassionate Guide to Canine Care, from Adopting to Teaching to Bonding" by Jennifer Arnold. 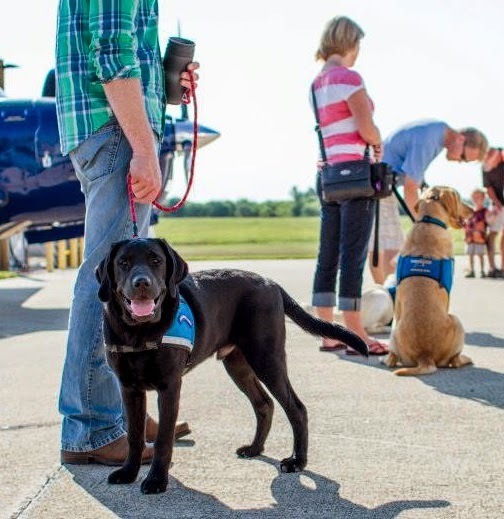 In 1991, Arnold founded Canine Assistants, a Milton, Ga.-based non-profit that trains service and seizure-response dogs for children and adults diagnosed with medical needs. According to her biography, Arnold and her family learned about the value of mobility dogs after she was diagnosed with multiple sclerosis, and spent two years of her adolescence using a wheelchair-user. "I have come to believe that dogs are among God's greatest creations," Arnold writes on her Amazon author page. "I also believe that we have a responsibility to treat them with respect and kindness. Force and intimidation have no place in working with dogs." "In a Dog's Heart" is Arnold's second book. Her first, "Through a Dog's Eyes: Understanding Our Dogs by Understanding How They See the World" was turned into a one-hour television program on PBS. The Paws & Effect book club discussion will take place 6:30 to 8 p.m., Thurs., Apr. 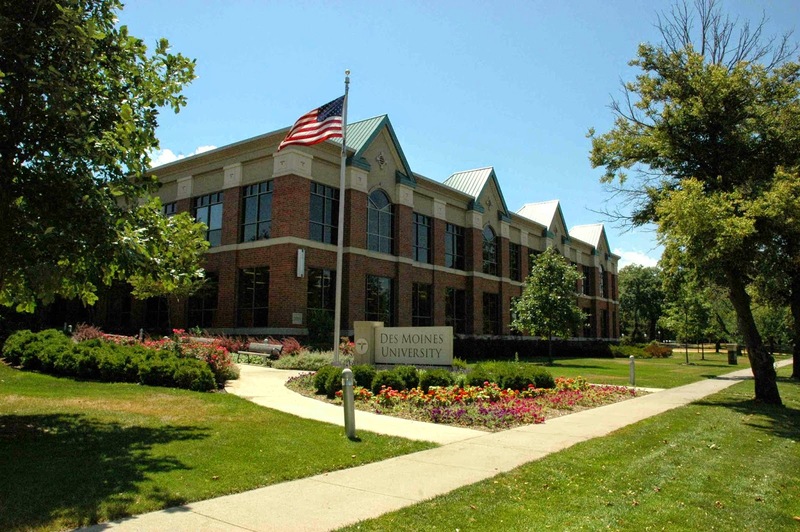 7, 2105 at the Grand View University main campus library, Des Moines, Iowa. Join Us for Our Third Annual Cross-Country Race & Walk! In our third annual event, participants in Paws & Effect's Cross Country Race will have the options to run 5k or 10k, or walk 5k. We're excited to announce this year's event will be held at Living History Farms, Urbandale, Iowa! The event is Sun., June 7, 2015. The 5k starts at 8:30 a.m. The 10k starts at 9 a.m. The Youth Dash/Run is set for 10 a.m. (FREE for kids 12 and under). Established in 2006, Paws & Effect is a 501(c)(3) non-profit organization that raises, trains, and places service dogs with military veterans and children diagnosed with medical needs. The Central Iowa organization also registers therapy animals through Pet Partners, and hosts community dog-agility trials as fund-raising events. Proceeds from the Cross Country Race will not only help Paws & Effect fulfill its mission, but also help to ensure that recipients receive service dogs free of charge. Register through our friends at GetMeRegistered! Registration fees provide entry to the race and trophies (awarded for designated categories). Following the race, you'll enjoy a root beer float in a custom Paws & Effect glass (yours to keep!) along with an array of snacks. You’ll also hear from recipients of Paws & Effect service dogs. You can also purchase Paws & Effect T-shirts for $20 at the event. 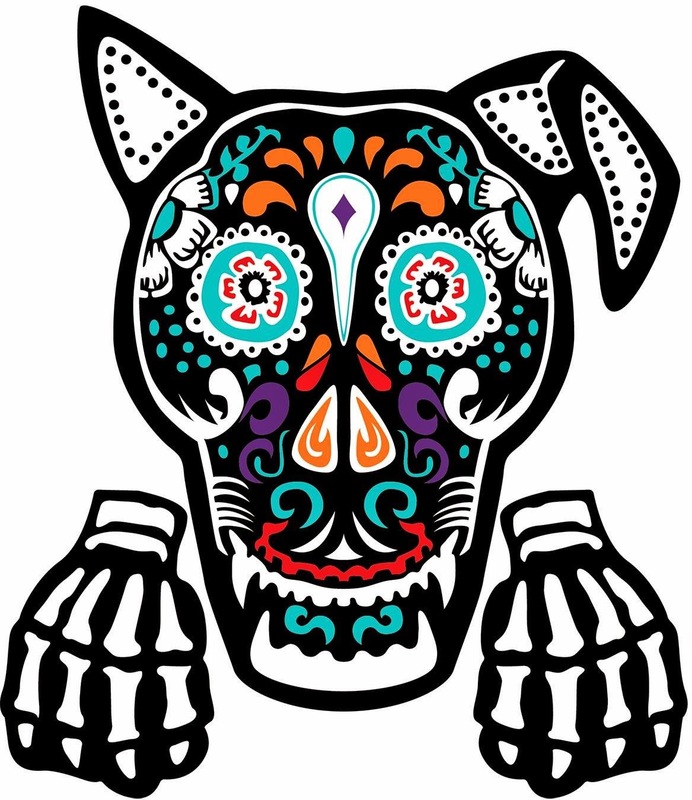 Packet pickup will be on the Sat., June 6—the same day as Living History Farm's "Fido on the Farm" event! Chips will be picked up the morning of the event from 7:30 a.m. to 8:30 a.m. All chip timers will be collected at the finish line. A fee will be charged for chips not turned in at the end of the race. Prizes will be awarded to the top finishers. Categories will be announced soon. Registrants will receive an email with specific details concerning the event. You can also keep informed about Paws & Effect through our website, our Facebook page. PLEASE NOTE: No refunds will be issued in the event of inclement weather or other unforseen challenges whereas the event would need to be cancelled. Paws & Effect is pleased to announce the winners of the first-ever national writing and art contest, conducted as part of its annual "One Heart, Four Paws" gala event," a celebration of the connections among humans and animals. Awards of $100 each were presented in non-fiction and fiction writing. Additional and special awards were presented in non-fiction, poetry, and youth categories. "The many bonds among humans and animals—how we live with and help each other—are the tools we use daily at Paws & Effect, the stories we tell," says Executive Director Nicole Shumate. "This contest created an opportunity to explore and express those narratives in new ways." The contest was administered by Middle West Press, Johnston, Iowa. "This was an experiment, and we didn't quite know what to expect," says Randy Brown, who facilitated the judges' discussions. "We were gratified to hear so many voices, telling stories that were often inspiring, sometimes touching, and always heartfelt." Amazingly, she managed to wiggle her way into the heart of one Kurdish soldier and eventually the people from the village of Atiti, giving them the opportunity to do something kind for a dog instead. Hopefully, that lifesaving lesson stuck and other dogs in Iraq are now benefiting from their kindness because of what one dog taught them. Atiti calls Virginia home. With the assistance of a custom-made cart, she goes where she wants and does what she wants, continuing to overcome any obstacles that try to get in her way. That’s why Atiti is alive today. That night, when we got back to the cell, she sat down for me to remove the leash, and there was no biting my hand when I reached for her collar. Believe me when I tell you this was a great relief. Later that night, Karma was laying on her pace staring at me with her icy blue eyes. I reached down to pet her, and, rather than immediately wrapping her teeth around my hand and working her way up my arm, she rolled over and gave me her belly. I laid down on the floor and she nuzzled her head against my chest and let me pet her for quite a while. I believe Karma felt my pain and she realized I cared for her and wanted the best for her, so she lowered her guard and let me in. We made a connection. Winner of the fiction category is Donna B. Crisler of Lakewood, Colo., for her work "Goldie's First Assignment." The work excerpts Crisler's current writing project, a children's mystery book written in "first-person"—from a service-dog's perspective! While no outright winner was presented in the poetry category, select finalists were each awarded a copy of Pulitzer Prize-winning poet Mary Oliver's 2013 collection "Dog Songs." Incorporating their writing into a "service"-themed curricula, nearly 50 fifth-graders from Lone Tree Elementary, Lone Tree, Iowa, entered the contest's youth category with stories both imaginative and creative. Kyle Andersen, 10, wrote a short story about a veteran whose life is made better by a service dog named Sniper. Xavier Hayes, 11, wrote a story of an Air Force veteran who adopts three puppies: Clumsy, Naughty, and Charger. Alivia Hemsted, 11, told of a Labrador named Hazel, who can practically talk, and whose human friend is a Nashville girl named Carly Clementine. Alyssa Knock, 10, told a story about a disabled veteran who rescues a dog. Tyler Randlett, 10, wrote of Smokey, his grandfather's bomb dog in World War II. Rafael Villarreal III, 11, wrote and illustrated a tribute to his late dog, Palomo. Our Annual 'One Heart, Four Paws' Celebration is Feb. 13! Join us in celebrating the many accomplishments of our animals, raisers, recipients, Pet Partners, and supporters at our annual "One Heart, Four Paws" event, 6-8 p.m., Fri., Feb. 13 at the new reception space at Flying Mango Restaurant and Catering, 4345 Hickman Road, Des Moines, Iowa. The space is located just west of the restaurant. Parking is also available at 4401 Hickman Road. Established in 2006, Paws & Effect is a 501(c)(3) non-profit organization that raises, trains, and places service dogs with military veterans and children diagnosed with medical needs. We also register therapy animals through Pet Partners, and host dog-agility events. "As we build toward our 10th anniversary next year, it's a great time to reflect on everything our volunteers and animals do to help enrich the lives of others," says Executive Director Nicole Shumate. "Valentine's Day is a perfect time to celebrate 'One Heart, Four Paws.'" The program includes a display and results from the first-ever "One Heart, Four Paws" writing and arts contest, and showing new Public Service Announcements currently being televised on regional media outlets. The menu will feature heavy hors d'oeuvres, created by the renowned chefs at Flying Mango. Notably, Flying Mango is scheduled to be featured on the Food Network's "Guy Fieri's Diners, Drive-Ins & Dives" on Jan. 16. A Facebook page for the restaurant is here. Tickets for the event are $50. For more information or tickets, contact Executive Director Nicole Shumate at: nicoleshumate AT paws-effect.org. 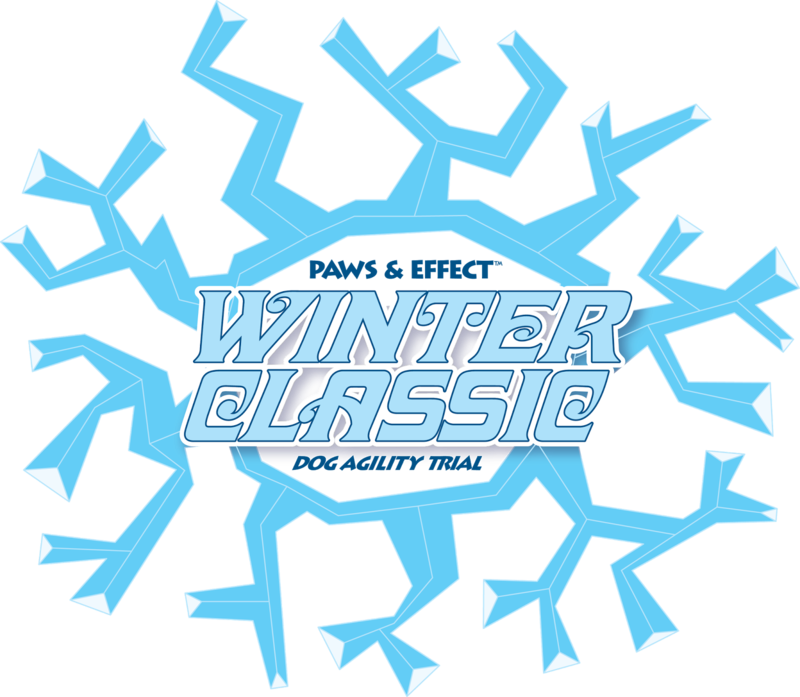 Winter Classic NADAC Agility Trials are Jan. 17-18! Entries are now open for the Paws & Effect Winter Classic NADAC Agility Trials, scheduled Saturday and Sunday, Jan. 17-18, 2015 at the Jester Park Equestrian Center, 11171 N.W. 103rd Court, Granger, Iowa north of Des Moines. The judge will be Matt McCarter of Overland Park, Kansas. The premium describing the event's rules and other details is downloadable as a PDF here. Entries are open from Dec. 8, 2014 to both days of the event. Each year, the Iowa Realtor Foundation contributes thousands of dollars to community programs and projects with the objective of "keeping Iowa an attractive place to live." Paws & Effect Executive Director Nicole Shumate announced the receipt of a $7,500 donation from the foundation this week. The money donated to Paws & Effect will be used toward the training and placement of service and therapy animals serving Iowans. "Paws & Effect is privileged to have received funds from the Iowa Association of Realtors, which has supported many community non-profits, including Children & Families of Iowa and the Ashley Okland Star Playground. We're able to continue our efforts both as a therapy and service dog organization, because we are embraced by the community." receive the Iowa Realtor Foundation's recent gift. The Iowa Realtor Foundation is the good-works arm of the Iowa Association of Realtors, which is a leading advocate for more than 6,500 real estate professionals who live and work in the state of Iowa. Past donations have been directed toward efforts including housing and parks programs, and academic scholarships. The organization's members are each pledged to adhere to a strict code of professional ethics, and are the only real estate professionals authorized to use the trademarked descriptor "realtor." 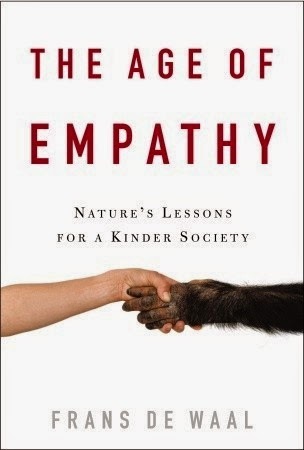 The first Paws & Effect Book Club selection for 2015 is "The Age of Empathy: Nature's Lessons for a Kinder Society" by animal behaviorist Frans B. M. de Waal. The discussion will take place 6:30 to 8 p.m., Thurs., Jan. 8, 2105 at the Grand View University main campus library, Des Moines, Iowa. [De Waal's] latest research concerns empathy and cooperation, inequity aversion and social cognition in chimpanzees, bonobos, and other species. He and his students have pioneered studies on how behavior is culturally transmitted in the primates, whether elephants recognize themselves in mirrors, how primates react to unequal reward divisions, how well primates spontaneously cooperate, and whether bonobo orphans are as emotionally affected by their trauma as human orphans. Writing in plain-spoken prose, peppered with plenty of anecdotes, de Wall's "Age of Empathy" explores the possibility that humans—like other primates—are not inherently selfish, but are instead more than capable of creating an empathic and generous society. "Having an appreciation for other species and their experiences helps us better understand our own relationships with each other," says Paws & Effect Executive Director Nicole Shumate. "So much research-based information is presented in Age of Empathy, it makes it a worthy read, two- or three-times over." Paws & Effect is in the second month of soliciting stories and art about our relationships with animals! The nationwide arts and writing contest will be the centerpiece of our annual "One Heart, Four Paws" Valentine's Day celebration of the connections among humans and animals. We're looking for short fiction, non-fiction, poetry, and art in youth, military servicemember/veteran, and general public categories. There is a $100 monetary award in each category/subcategory. Deadline is Jan. 5, 2015. A new Paws & Effect television spot will be aired by KCCI-TV in time for Veterans Day. 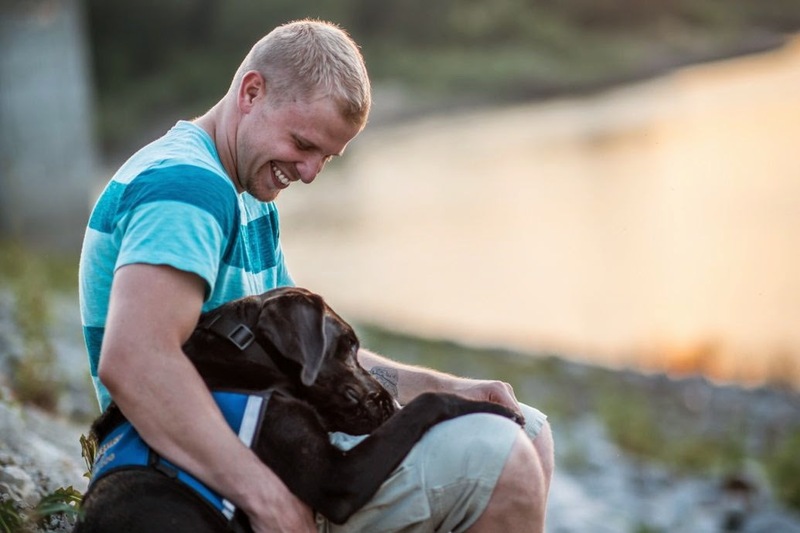 The 30-second message, titled "Home," demonstrates how a psychiatric service dog helps his military-veteran handler navigate life with Post-Traumatic Stress Disorder (P.T.S.D.). The message opens with footage of Iowa National Guard's 34th Infantry "Red Bull" Division citizen-soldiers, returning from Afghanistan in 2011. As part of the Central Iowa television station's public-service programming, the video clip will air on channels 8.1 and 8.2 starting Sat., Nov. 1. Beginning Nov. 22, the video will also be shown to "Hunger Games: Mockingjay" movie audiences at Century 20 Jordan Creek theater, West Des Moines. The video can also be viewed on-line via Vimeo at link here, and above in this post. Established in 2006, the Des Moines, Iowa-based Paws & Effect is a 501(c)(3) non-profit organization that raises, trains, and places service dogs with military veterans and children diagnosed with medical needs. The organization also trains therapy animals and hosts dog-agility events. The non-profit has a history of engaging and educating its communities about service animal topics, including an award-winning series of five televised messages in 2011. All of television messages have been written and produced by Todd Cerveris of The Woods production company, New York City. "This was by far the most challenging public service announcement we've made," says Paws & Effect Executive Director Nicole Shumate. "The first scene was filmed in Johnston, Iowa, at a homecoming ceremony for Iowa National Guard soldiers [...]. That moment, when troops are dismissed to see their family and friends, is incredibly emotional." "Putting words to the experience of returning from combat, of explaining PTSD, it strained each of us personally and took a toll on our friendships," she says. "There is an honesty and integrity present here that reaches far beyond anything we have done before." A pit-bull mix named Susie won the top "Hero Dog" award at this year's American Humane Association Hero Dog Awards. As Suzie's designated charity partner, Paws & Effect will receive a $5,000 award based on her win and participation. Established in 2006, the Des Moines, Iowa-based organization is a 501(c)(3) non-profit that raises, trains, and places service dogs with military veterans and children diagnosed with medical needs. Paws & Effect also hosts Pet Partner training courses and evaluations, supporting therapy teams throughout the state of Iowa. Paws & Effect is widely known for its dog agility programs, where children may complete their physical, occupational, and speech therapy while taking a therapy dog through an agility course. Susie, who lives in High Point, N.C. was the finalist in the Therapy Dog category. The ceremony will be broadcast nationally on the Hallmark Channel, Oct. 30, 7 p.m. Central Time. More than 130 dogs were nominated in this year's contest, and 1.5 million on-line votes were cast by the public. Suzie was selected from a pool of eight finalists. Other categories include arson, law enforcement, and guide and hearing dogs. Together, they helped each other heal from their physical and emotional wounds, triumphing over pain and fear to become voices for abused animals and helping pass "Susie’s Law" in North Carolina, which calls for harsher penalties for convicted animal abusers. Susie became the subject of the movie, "Susie’s Hope," and working side by side, Donna and Susie continue to make the world a better place for others by visiting hospitals, schools, and nursing homes to inspire people never to give up. In another Iowa connection, Chaney, an 8-year-old Labrador and retired Military Working Dog now living in Waverly, Iowa, was the finalist in the Military Dog category. 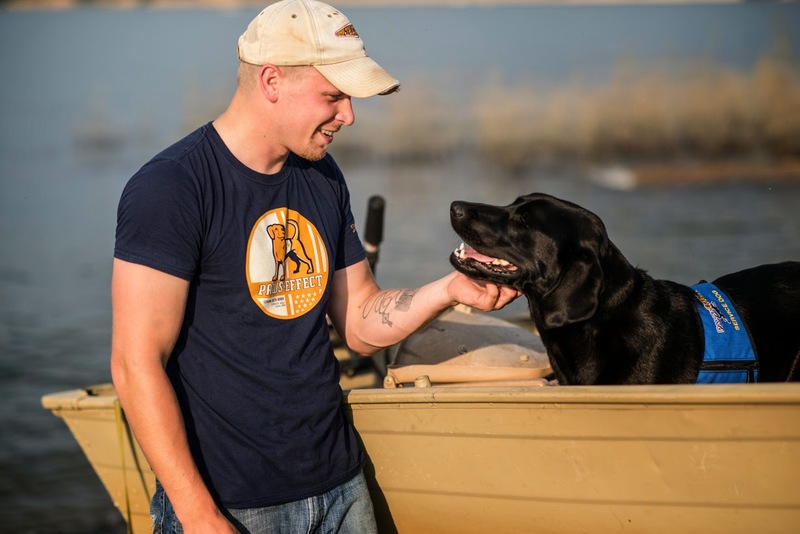 Along with his handler, Chaney often volunteers with Retrieving Freedom, Inc. By participating in the Hero Dogs program and becoming a finalist, Chaney won $1,500 for the America's VetDogs of Smithtown, N.Y. 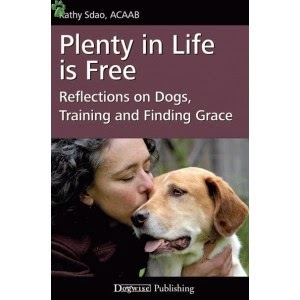 The fourth Paws & Effect Book Club selection for 2014 is "Plenty in Life Is Free: Reflections on Dogs, Training and Finding Grace" by animal behaviorist Kathy Sdao. The discussion will take place 6:30 to 8 p.m., Thurs., Oct. 2 at the Grand View University main campus library, Des Moines, Iowa. The event was originally scheduled for Sept. 4. The book relates how Sdao has developed a philosophy that emphasizes mutual reinforcement among trainers and their animals, rather than establishing rules that hinder the human's abilities to share affection and attention with animals they're training. [R]enowned dog trainer Kathy Sdao reveals how her journey through life and her decades of experience training marine mammals and dogs led her to reject a number of sacred cows including the leadership model of dog training. She describes in narrative fashion how she has come to focus her own training philosophy which emphasizes developing partnerships in which humans and dogs exchange reinforcements and continually cede the upper hand to one another. Paws & Effect would like to take this opportunity to officially welcome Daniel Gorchals as the Director of Operations! Daniel was born and raised in Central Wisconsin. Shortly after graduating high school he enlisted in the United States Air Force. Daniel was a Security Forces member as well as a marksman in his career field. His specialty was the personal protection of foreign and domestic dignitaries. Daniel served all four years of his Active Duty Service Overseas to include Europe and the Middle East. Daniel's duties will include fundraising, public speaking, peer support, and a positive public presence with his Service Dog "Arlington". Daniel brings a large skill set and eagerness to this organization and is an incredible asset to our mission. We couldn't be happier to have him with us! Feel free to contact him at danielgorchals@paws-effect.org. The discussion will take place 6:30 to 8 p.m., Thurs., Sept. 4 at the Grand View University main campus library, Des Moines, Iowa.